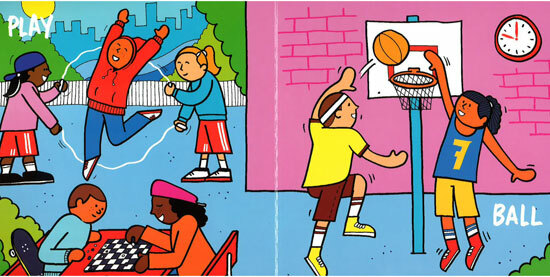 Learning to read just got too cool for school with The Hip Hop Board Book by Martin Ander. It’s a lovely thing and a practical one too, designed to teach little folk to read. Yes, a selection of words illustrated with an old school hip hop vibe and a dollop of humour, throwing in events and objects related to hip hop culture, but also things that relate to everyday life. Rap, breakdancing, graffiti, DJing – it’s all here, turning something mundane (learning basic words) into something fun and eye-catching. It’s a chunky hardcover book, in full colour and with 24 pages of colourful words and imagery. 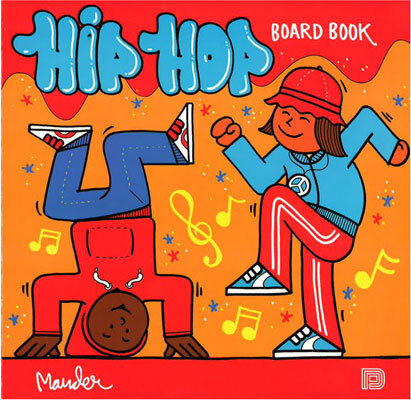 The Hip Hop Board Book is the essential tool for hip parents of new-borns and it’s available for £6.99 online.